A great class to slow down the fast pace of city life, these classes are a blend of traditional Hatha and Vinyasa Yoga. Translation: slow flowing sequences. The class is called Yin+Yang", mixing a calming sequence of yin based asanas as well as some dynamic vinyasa sequences. 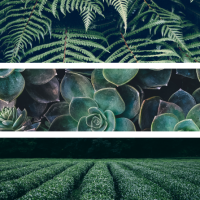 In this more dynamic class, we will experiment with pranayama techniques, meditation, and yogic philosophy whilst enjoying creative sequences and transitions. In Yin, passive postures are held for longer, to slowly release a connective tissue, fascia. Perfect way to increase flexibility and to release the tension. This class is called "Dragon Flow". This class will Combine powerful Vikasa yoga and Hatha vinyasa to take you through a breath work, movement and meditation. Suitable for most bodies types, ages and levels, to sooth and nourish the body and mind. Watch your strength, flexibility and balance begin to improve. "Intro to Yoga". If you are a beginner, this is the class to get started with. If you are an experienced yogi, this is your “back to basic” class. shops to tickle your curiosity and delve deeper into your practice and awareness. A perfect space to begin, revisit and continue your yoga journey. Drop in price starting from $18. New student offer, $59 for 1 month unlimited yoga classes. Over 17 classes per week. Welcome to EN. YOGA, an urban retreat, tucked away in that attic space you’ve always wanted, only minutes away from the Perth CBD, Western Australia. At EN. YOGA they offer a range of yoga classes, series of courses for beginners and seasoned yogis, as well as workshops to tickle your curiosity and delve deeper into your practice and awareness. The teachers are dedicated yogis who teach a wide variety of engaging classes. They are committed to create the space not only to practice yoga, but to meet with, reconnect with and rediscover yourself. 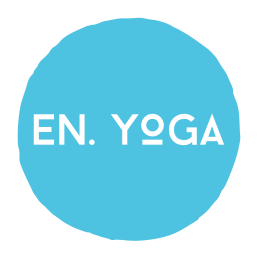 “EN” is an English prefix for “en-“, to enable one or many into another state, such as enrich, envision, enable, engage, empower, enyoga! Also, "EN" (えん、縁) in Japanese, is a word to describe a connection of people, place and series of events that are meant to be connected.